I was in Japan earlier in the month and I spotted this in Tokyo. Of course, from the title, you know that this must be a bicycle park. So, let’s start with a question – how many bicycles do you think there are under there? 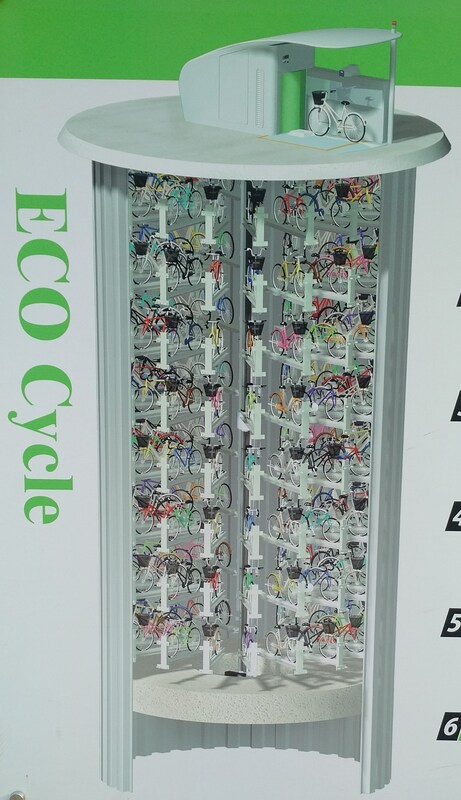 The answer might surprise you – there are 144 bicycles under each of these. 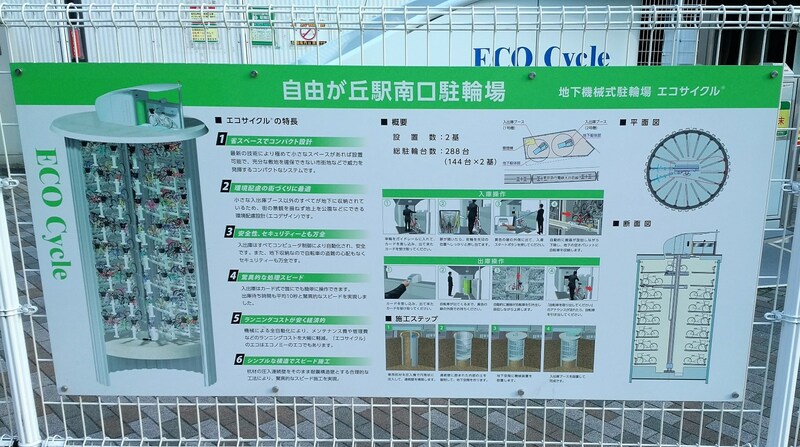 The picture below shows how the bicycles are arranged underneath. The rest of the installation is as shown below. 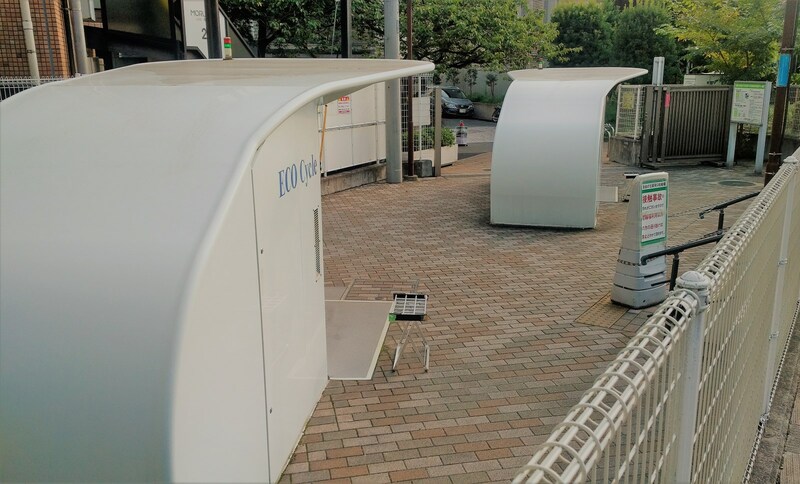 The installation that I saw in Jiyugaoka (Tokyo) has 2 stations – so, that accommodates a total of 288 bicycles in a relatively small area. 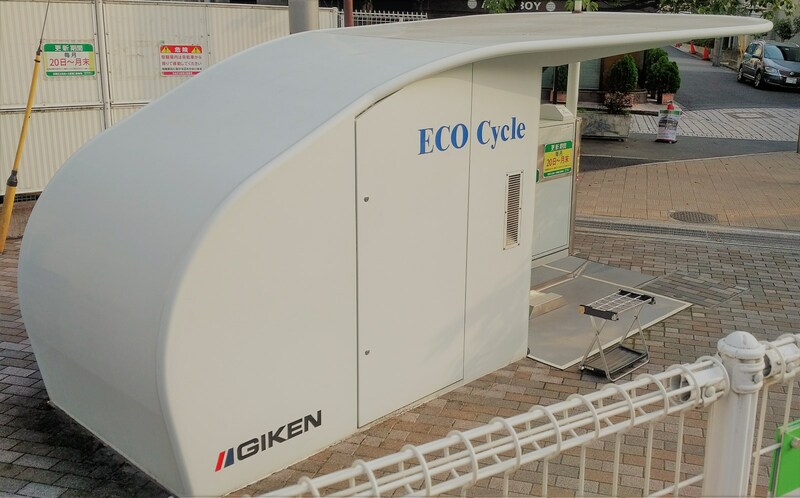 Seems perfect for dense urban environments. The technology seems to be from a company called Giken and the details are available on their website – I still think it is quite cool! 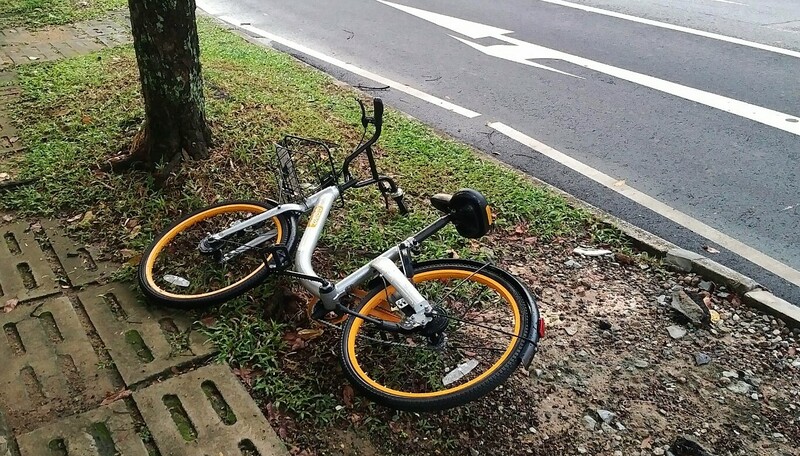 It seems such a difference from the way that bicycles are sometimes littered around with the new stationless bike sharing that’s taking off in Singapore in a big way.